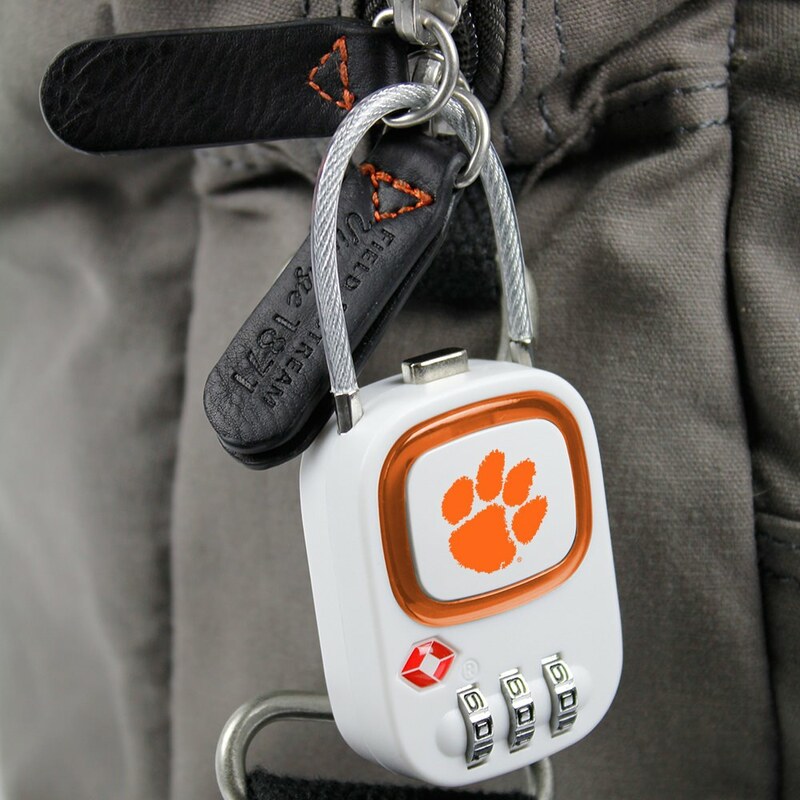 For Clemson Tigers students, faculty, and fans on-the-move, the TSA Combination Lock is a surefire way to keep your luggage safe. 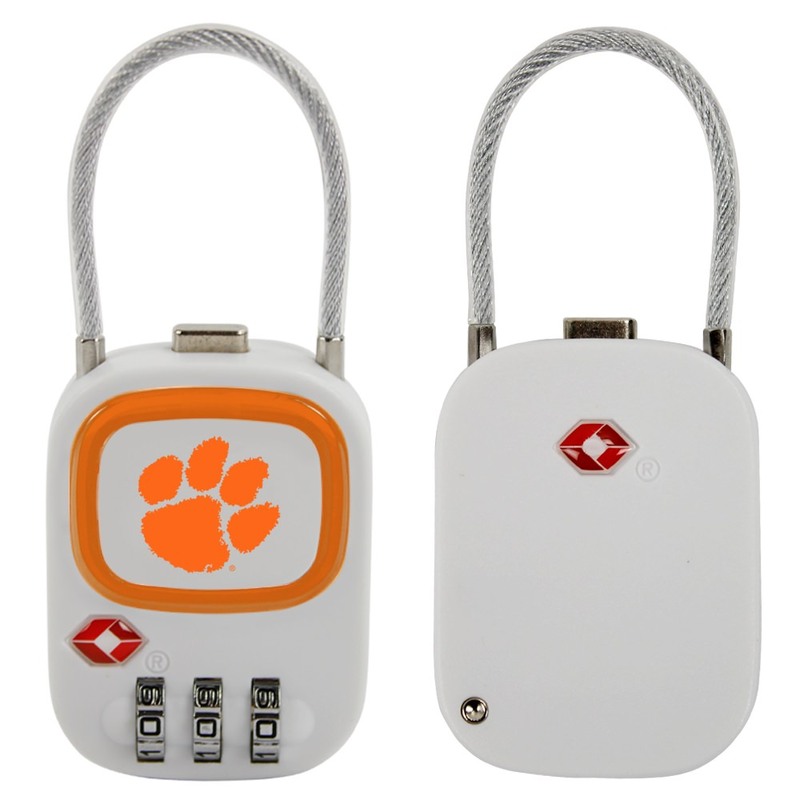 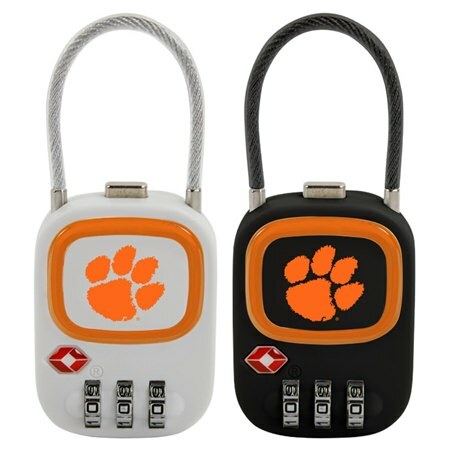 This durable and resilient three-digit combination lock secures your bags with a cable shackle and features the Clemson Tigers logo in full color print. 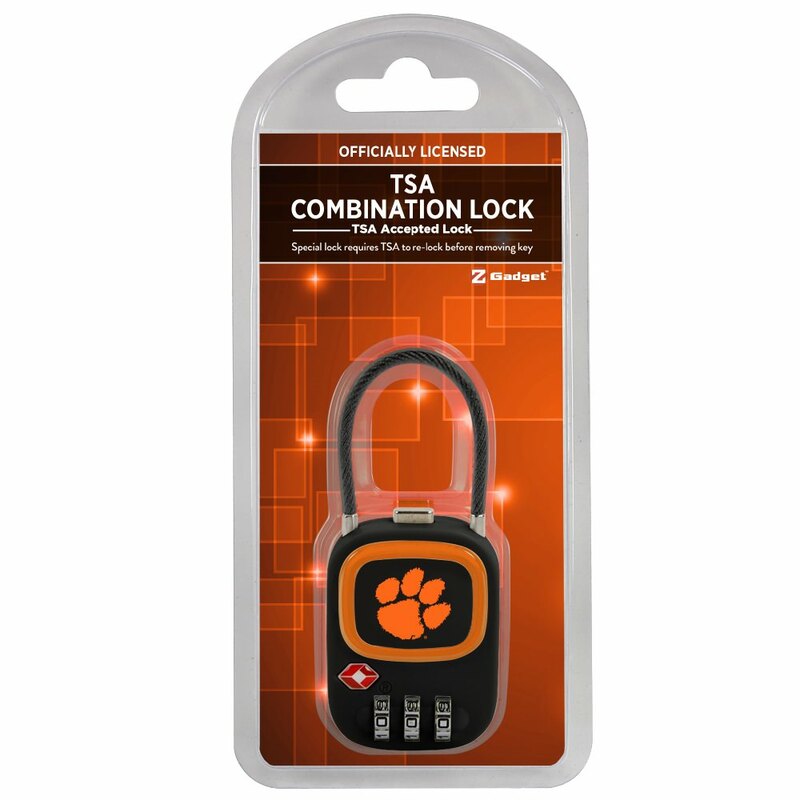 It can only be opened with the combination or with a TSA agent’s special key. 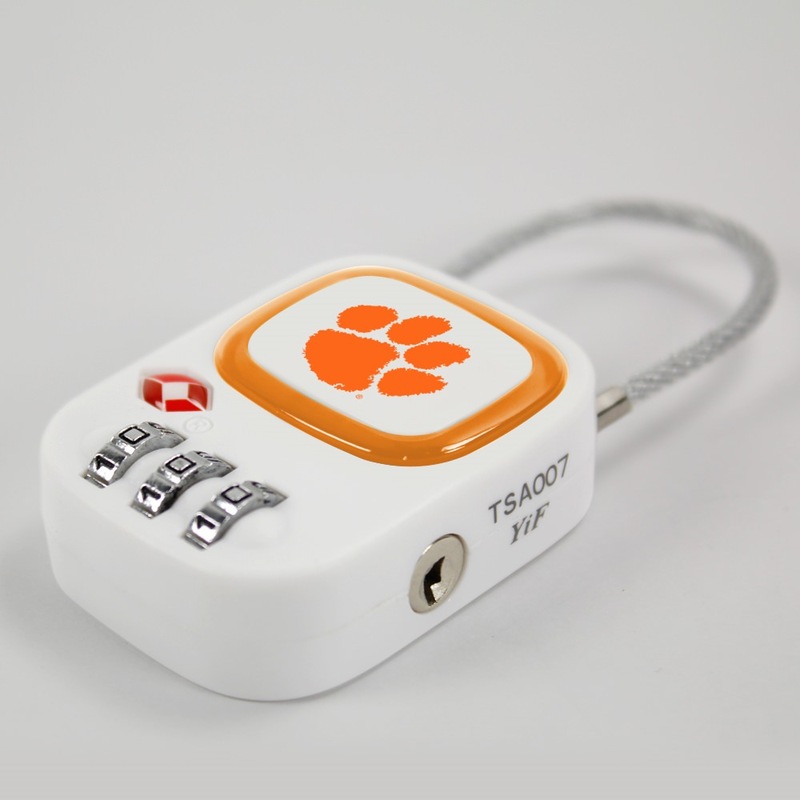 If TSA needs to inspect your luggage, they have to relock it afterwards in order to remove their key from your state of the art lock! 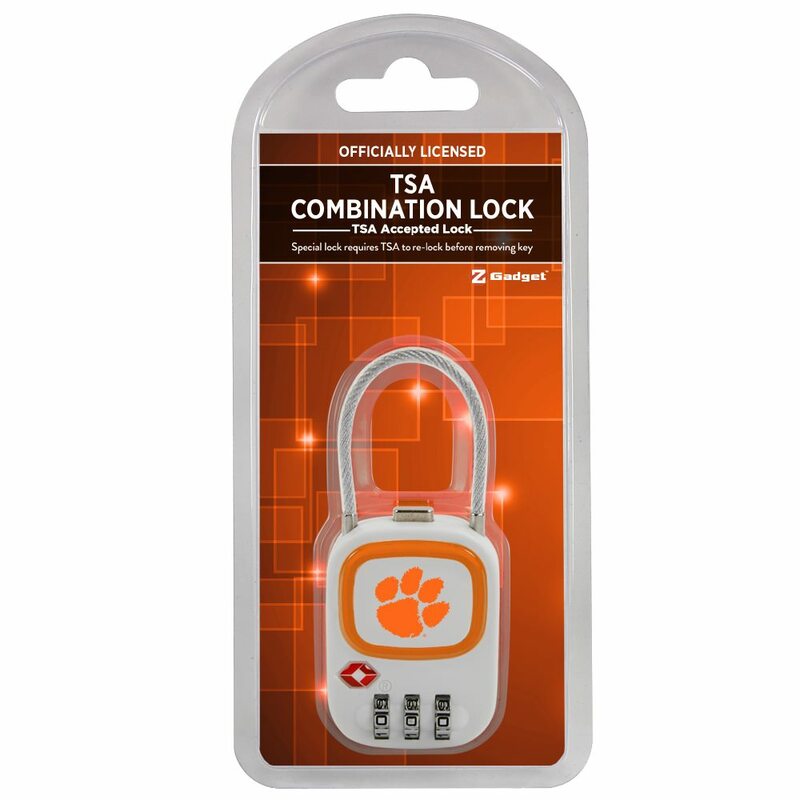 This lock is TSA accepted and Travel Sentry approved.